Post Tagged with: "Canceling Timeshare Contract"
Are you a current timeshare owner and you have been thinking about canceling your membership? If you have, then you will want to make sure you read the information provided in this blog. We have provided all of the important information that you need to know if you are wanting to cancel your timeshare membership. There could be possible repercussions that you will have to face if you cancel your membership, so continue to read below to learn more. The first thing that you should know about timeshare membership contracts are that they are legally binding agreements that can’t be cancelled if the cooling off period has expired. It really doesn’t matter what reasons you have on why you want to cancel your membership, it is very important that you understand that the contract that you have signed is legal and breaking it will come with repercussions. Once you have recognized that you can’t legally cancel your vacation ownership membership, you should make the most of your investment and start enjoying the best vacations. You can avoid all stress and worry when you avoid becoming a victim of a potential timeshare cancellation company scam that will try to convince you that you can cancel your membership, but realistically you are not able to. Cooling Off Period – How Long Is it? Timeshare providers and members are equally protected by the cooling off period. Timeshare members will have several days to go over their membership contract commitment, and the providers will be protected from customers that are just wishy washy. The cooling off period is usually five to fourteen days once the timeshare contract has been signed. You should always check the contract thoroughly to verify the specific cooling off period time frame that is in your contract. Once the cooling off period has expired, timeshare members are not able to cancel their membership and the timeshare providers are now able to process the sale and to pay their sales agents any commissions that they have earned. Cooling Off Period Has Expired – What Can You Do Now? Were you going through your timeshare contract and you have learned that your cooling off period has already expired and you are wondering what you can do now, because you were wanting to cancel your membership? As you know now that you are unable to cancel your timeshare membership, why not start planning a vacation so you can get the most out of your investment and your membership. If you purchased your membership from the Villa Group, rest assured it is a reputable timeshare company that operates some of the most luxurious resorts throughout Mexico. The Villa Group has resort properties in Loreto, Riviera Nayarit, Cabo San Lucas, Puerto Vallarta, and Cancun. Not ready to vacation yet/ You have another option, which is you can bank your timeshare points and use them for future vacations. However, the maintenance fees will still need to be paid, but you can keep banking your timeshare points and let them accumulate until you are ready to have an amazing vacation at one of the top and luxurious resorts within the Villa Group family. There are fraudulent timeshare cancellation companies out there that try to scam and convince existing owners that they can cancel their membership contract legally for them. We know that it is not possible for them to cancel your membership contract, and they will only take your money, bring stress, and waste your time. All of the timeshare cancellation companies are scammers and frauds and will only bring added stress to your life. Avoid them completely! Are you still asking yourself “Can I cancel my timeshare or not” after reading this important information? Remember, once the cooling off period has expired you are not able to cancel your membership. Instead, you should make the most out of your investment and start using it and enjoying it as soon as possible. The Villa Group provides the best destinations and resorts for their valued members, and you will have the ability to enjoy these resorts for many, many years. The rewards that are offered when presenting a timeshare are hard to resist, which is why a lot of people invest in them. So, places like Mazatlan, Riviera Maya, Cancun, Los Cabos, Cozumel, Puerto Vallarta, Riviera Nayarit and Nuevo Vallarta have made Mexico have the second largest population of timeshare agencies in the world. Therefore, many people view Mexico as a hotspot for investing in timeshares. But what about those situations in which you are thinking about cancelling Mexican timeshares? Is there such a thing as being able to cancel your timeshare membership? If so, can the cancellation be done between you and the resort, or is legal action needed for assistance? Here is all you need to know about cancelling Mexican timeshares. A timeshare has the same consumer rights protection as any other purchase when cancelling Mexican timeshares. The rescission period—also called “cooling off period”—is available in Mexico and applies to timeshare agencies and their customers. The rescission period is more like a grace period that lets you try before you buy with the assumption that most people will after having a positive experience. The following information gives more details on what the rescission period means for timeshare owners when cancelling Mexican timeshares. Cancelling Mexican timeshares directly with the resort is possible if it’s done during the rescission period. The rescission period is the time you are allowed to cancel your timeshare without penalty. So, find out how much time you have to make the decision to cancel your timeshare membership should you feel the need to terminate it after signing your contract. How do you go about cancelling Mexican timeshares after the rescission period is over? There is no option for cancelling Mexican timeshares after the rescission period is over. Agencies offering to cancel your timeshare for you (pretending to be a team of lawyers) don’t have any legal grounds to cancel your timeshare. They have you paying a fee after your first free consultation all to find out that the cancellation is not legal and will not be honoured in court. Why do people keep falling for timeshare cancellation scams? Companies cancelling Mexican timeshares look like a dream come true because they seem to offer something most say cannot be done: cancelling a timeshare after the rescission period. People get caught up in the hype of these false promises and end up realizing they have paid a lot of money to have a service performed that is not legal. And now, they are stuck with a loan in default and a membership that is still legally binding. Beware of any agency promising to cancel timeshares because they are telling you false promises in hopes of getting money from you. Canceling a Villa del Palmar timeshare contract is easy under the correct circumstances, but what many people don’t know are what exactly those circumstances are. For some people, canceling a Villa del Palmar timeshare contract becomes a nightmare; thankfully, for most people, buying a Villa del Palmar timeshare is a dream come true. 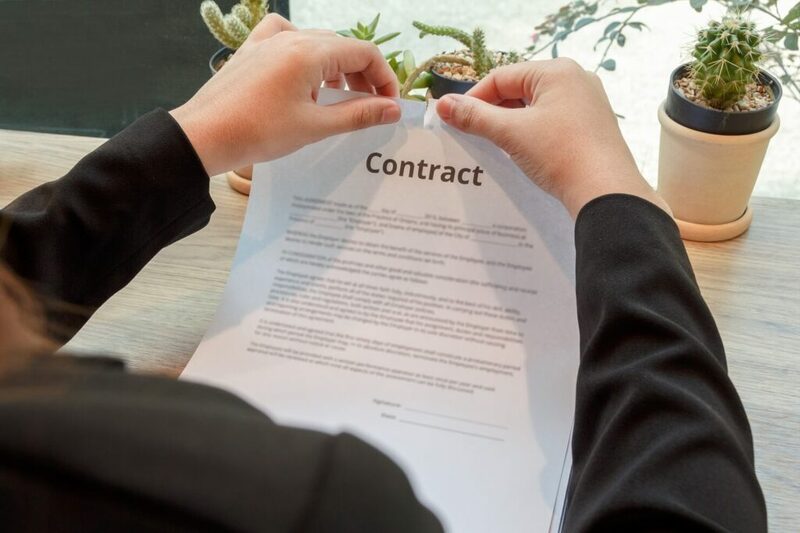 The first thing to consider when you sign a Villa del Palmar timeshare contract is that, like any legally biding contract, your signature means that you have agreed to follow the clauses stipulated in your contract. In order to cancel such a binding contract, you will have to have legitimate grounds for cancellation or do so within a stipulated time called the cooling off period. The best timeshare advice, of course, is cautionary in nature, think about your decision to buy a timeshare before you sign the contract. As your timeshare contract is a legally binding document, it is very difficult to cancel your timeshare once the cooling off period has passed. 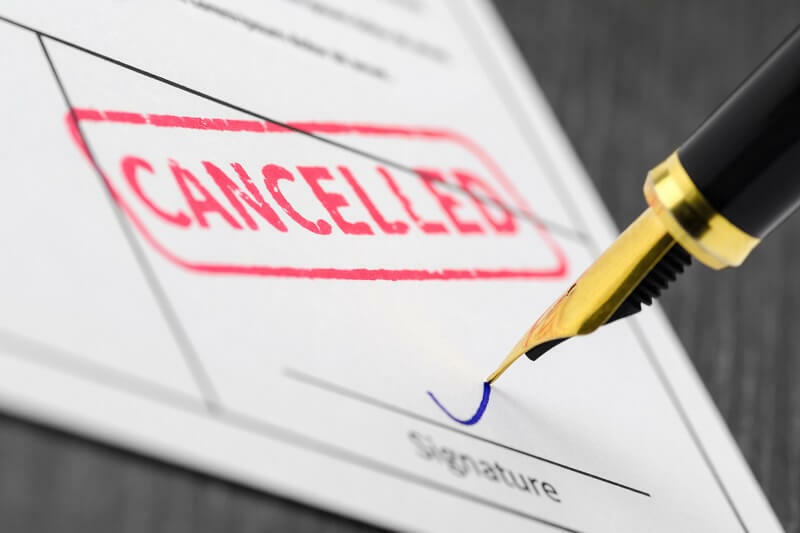 The only cases where cancellation is legal is when you have been involved in a scam of some kind or you can prove that your were deliberately misled or lied to. Proving verbal agreements is very tricky, which is why you sign a contract. There is nothing illegitimate or fraudulent about Villa del Palmar timeshares, and that is why their timeshare contracts are considered difficult to cancel. In order for you to be able to cancel, you would need to have a strong case against the company. Therefore, the best advance to avoid a Villa del Palmar cancellation nightmare is to read your contract. Nothing is hidden within the contract and everything is explained. Don’t get distracted by the beautiful views when you should be reading the fine print. Canceling a Villa del Palmar timeshare contract during the cooling off period is when canceling your timeshare is easy. In fact, it is the only legitimate time when you can cancel free of charge. Do not get fooled by timeshare lawyers who charge you large sums of money to cancel a Villa del Palmar timeshare contract while the cooling off period is still valid. In fact timeshare cancellation lawyers are one of the biggest scams in timeshare. The great news about canceling a Villa del Palmar timeshare contract is that you won’t want to. Just make sure you are happy with all the points mentioned in your contract.